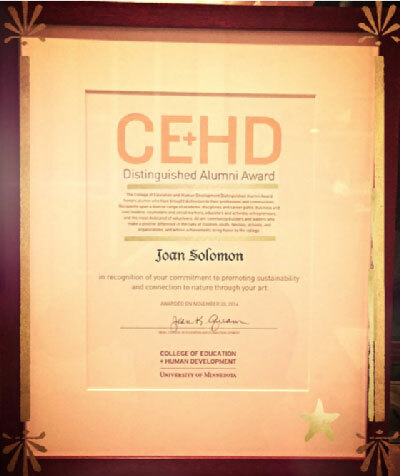 Joan Solomon receives U of M Distinguished Alumni for ongoing dedication and work connecting sustainability and nature through art. 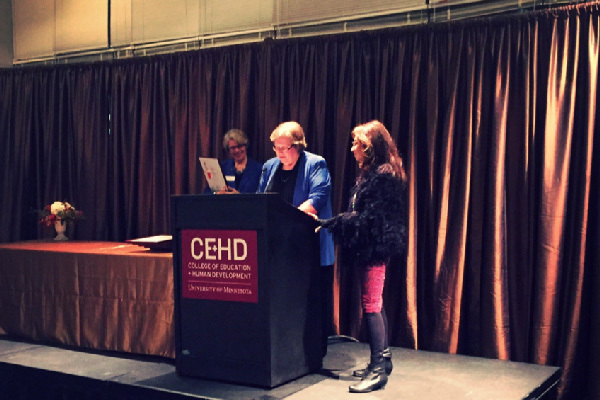 The U of M College of Education and Human Development Distinguished Alumni Award honors alumni who have brought distinction to their professions and communities. 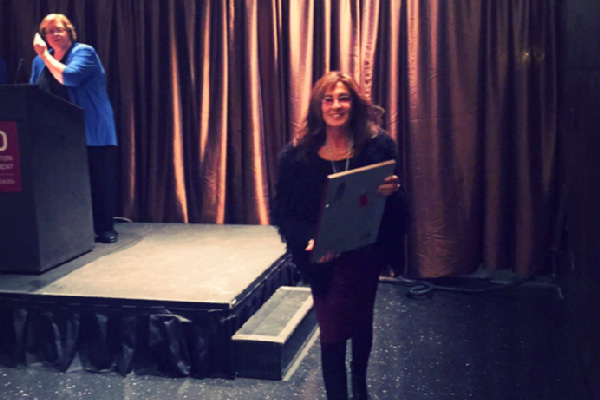 Recipients span a diverse range of academic disciplines and career paths: business and civic leaders, counselors and social workers, educators and activists, entrepreneurs, and the most dedicated of volunteers. All are community builders and leaders who make a positive difference in the lives of children, youth, families, schools, and organizations, and whose achievements bring honor to the college.